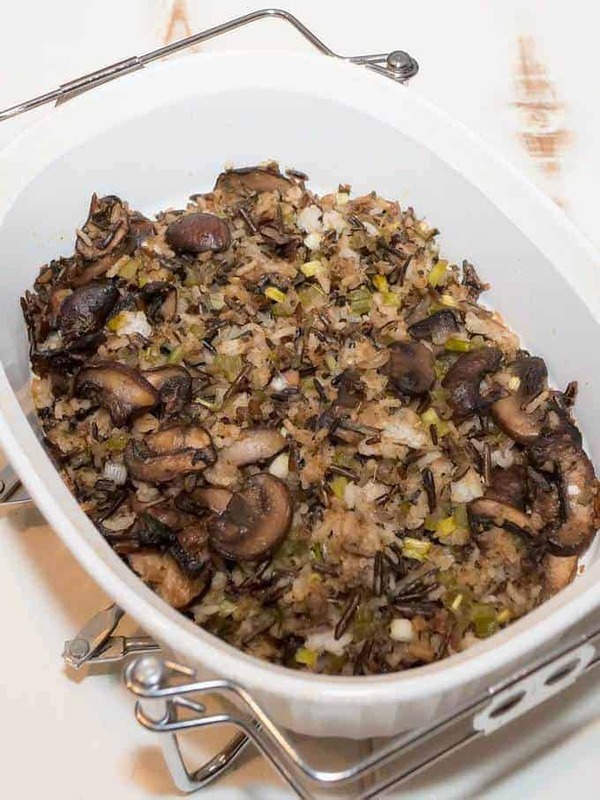 The ingredients for this delicious Mushroom Wild Rice Dressing include unsalted butter, Cremini mushrooms, shallots, celery, garlic, dried thyme, cooked white rice, cooked wild rice, chicken broth, chopped green onions, dry bread crumbs, salt, and freshly ground black pepper. I know that this seems like a lot, but it really does come together quickly! 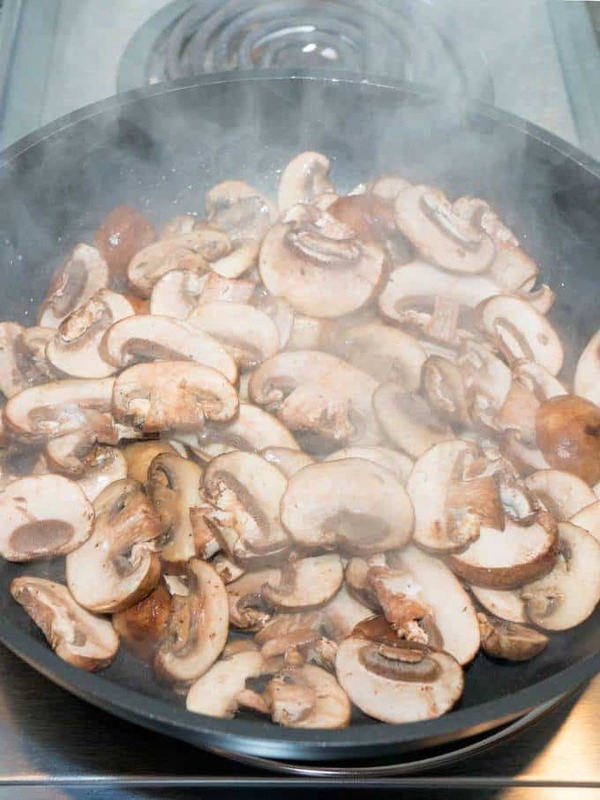 I started by sautéeing the mushrooms in melted butter over medium high heat until they were soft and lightly caramelize. This took 3 to 4 minutes. Next, I added the shallots, celery, garlic, and thyme, and cooked the mixture until the shallots were soft, about 5 minutes. I continued cooking the mushroom mixture over medium high heat until most of the liquid had evaporated. At this point, I added the white rice, wild rice, chopped green onions, and chicken broth. I stirred the mixture to ensure that everything was well combined. Finally, I mixed in the bread crumbs, and added some salt and pepper to taste. For my taste, it took about 1/4 teaspoon of salt, and 1/8 teaspoon of freshly ground black pepper. 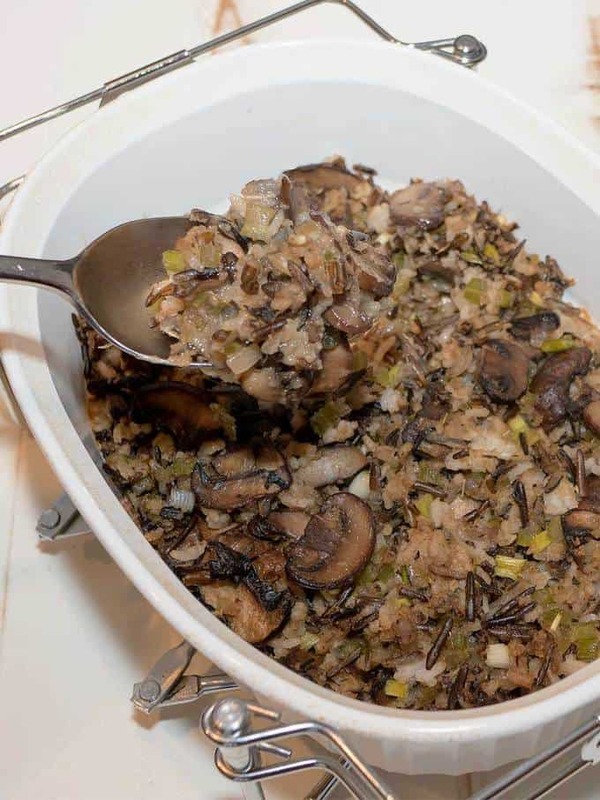 I used part of the Mushroom Wild Rice Dressing to stuff a turkey breast (stay tuned for the Turkey Roulade! ), and put the rest into a casserole dish. I baked it at 350° F for about 30 minutes until it was heated through. 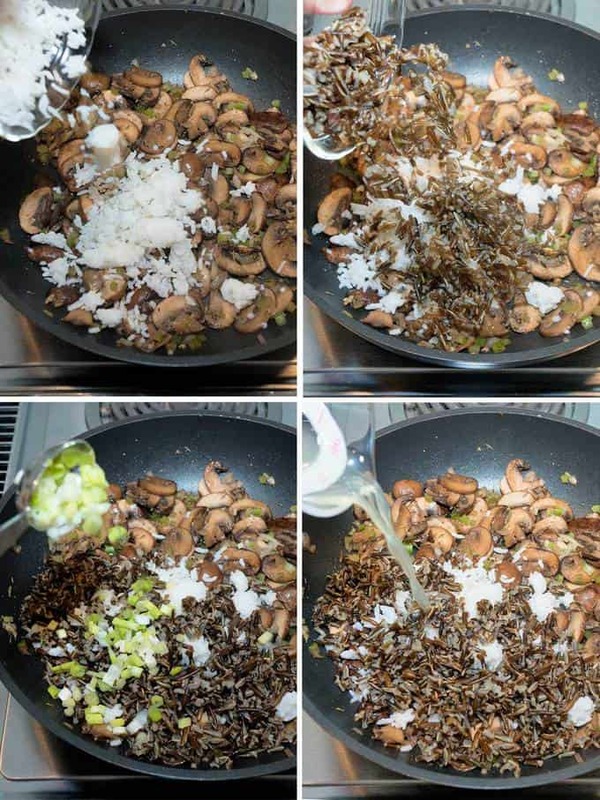 The Mushroom Wild Rice Dressing had an amazing flavor and texture. You should try it. Yum! In a large skillet over medium high heat, melt butter. 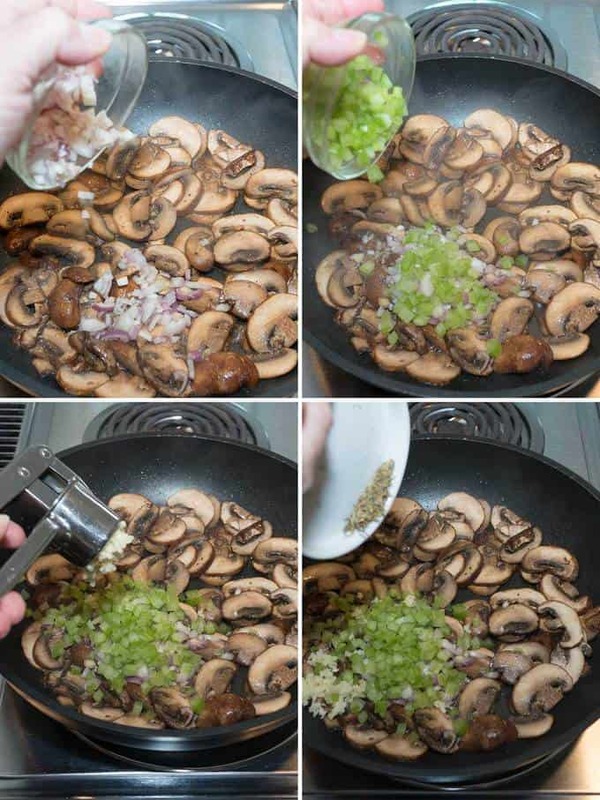 Add mushrooms and cook stirring occasionally until the mushrooms are soft and lightly caramelized, and have released their liquid, 3 to 4 minutes. Add chopped shallots, chopped celery, garlic, and thyme. Cook until the shallots are soft, about 5 minutes. Continue cooking over medium high heat until most of the liquid is evaporated. Add the white rice, wild rice, chicken broth, and chopped green onions. Stir to combine. 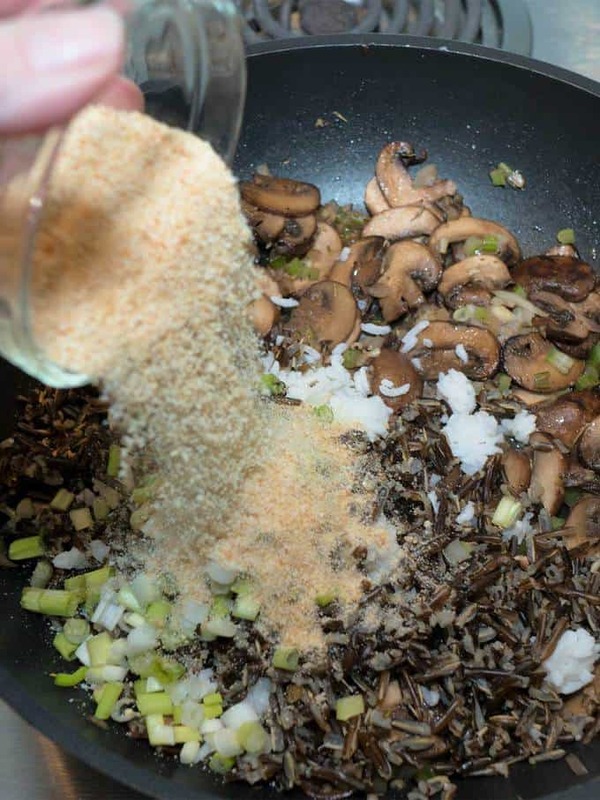 Add the bread crumbs; stir to combine. Set aside to cool completely if using for a stuffing. Otherwise, transfer to a casserole dish. Bake in a preheated 350° F oven for 30 minutes, or until thoroughly heated.